This blog is made to share news on Alzheimer’s Disease in India. 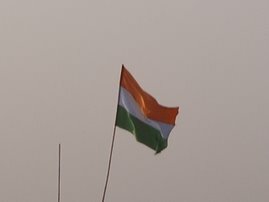 To raise awareness among the population in and from India, inform people of the resources they may have in their country and about actions taken by organizations. 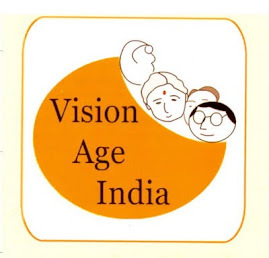 Also, it aims to support families and caregivers there to cope with this disease; help researchers worldwide and advocates in collecting datas and infos, develop views on the local Public Health Policy toward the affected elderly population in India. Join our Family Caregivers, Volunteers and Care Professionals on Facebook and LinkedIn. CHAPTER IV: PROVISIONS FOR MEDICAL CARE OF SENIOR CITIZEN. - there are earmarked facilities for geriatric patients in every district hospital duly headed by a medical officer with experience in geriatric care." CHAPTER III: ESTABLISHMENT OF OLDAGE HOMES. "The State Government may establish and maintain such number of oldage homes at accessible places, as it may deem necessary, in a phased manner, beginning with at least one in each district to accommodate in such homes a minimum of one hundred fifty senior citizens who are indigent. The State Government may, prescribe a scheme for management of oldage homes, including the standards and various types of services to be provided by them which are necessary for medical care and means of entertainment to the inhabitants of such homes. Explanation - for the purposes of this section, "indigent" means any senior citizen who is not having sufficient means, as determined by the State Government, from time to time, to maintain himself"
an emerging economy, a raising care system for Alzheimer's Disease patients. 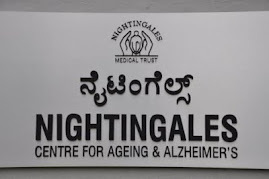 DEMENTIA CAREGIVING in the Indian context. The FACEBOOK Page : Alzheimer's Disease in India ! World Alzheimer's Day 2011 INDIA, MiD Day e-paper. DNA PUNE article on Alzheimer's awareness in India. The HINDU : Hendi Lingiah article. The Hindu : Hendi Lingiah article "Need for a safety Net". 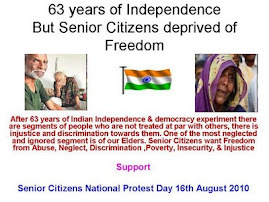 The senior citizen corner, govt of India.